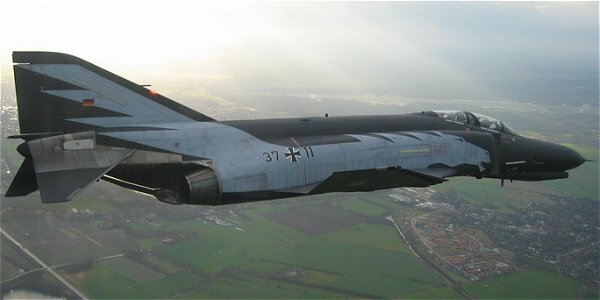 The Rheine-Hopsten airbase in Westfalia (Westfalen), was created from 1938, and during World War II, it was the base of JG-27. 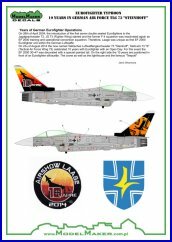 Rebuild from 1959 as NATO airbase, homebase of the Fighter/bomber squadron JBG-36 "Westfalen" from 1961, the badge is designed with a "White horse", on sky blue shield. 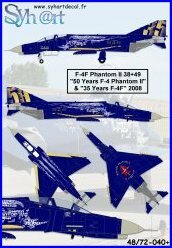 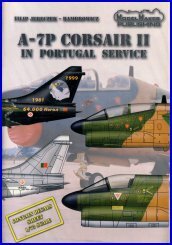 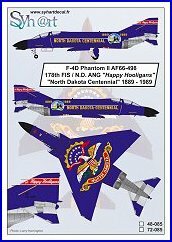 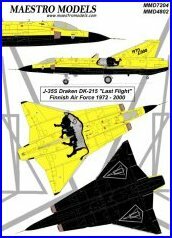 Firstly equiped with F-84F Thunderstreak, followed by F-104G Starfighter on 1965, it was finally converted on F-4F Phantom II from 1975. 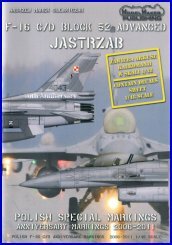 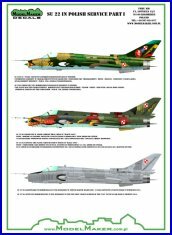 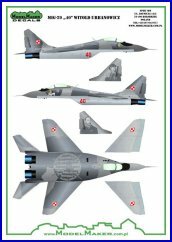 On 1990, the JBG-36 is converted to fighter squadron, recalled JG-72 "Westfalen". 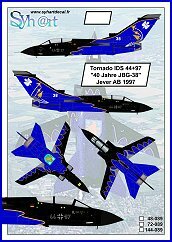 On September 2001, an openday is organised on Hopsten for the 40 years of JG-72, the squadron was retired on 2002. 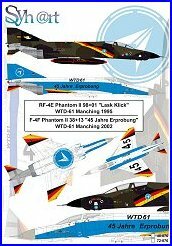 Once retired, the JG-72 was converted to F-4F training center, and the phantoms stayed on Hopsten until 2005. 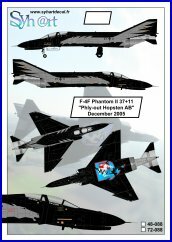 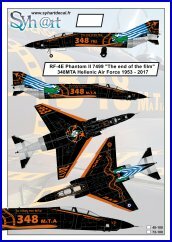 It's finally for the departure of Phantoms, and for the final closure of Hopsten AB that the F-4F Phantom registered 37+11 received a black paint, with grey horses on sides, and broken squadron badge on bottom. 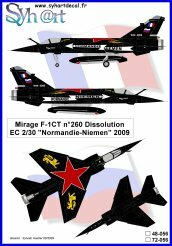 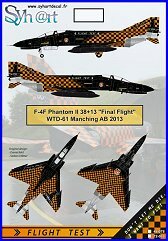 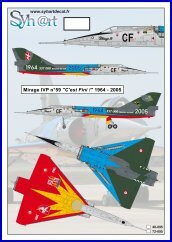 The lasts Luftwaffe actives phantoms was retired by JG-71 "Richtoffen" on Wittmundhaven AB on 29th june 2013, Two last phantoms used for by flight test center was retired one month later by WTD-61 on Manching AB. 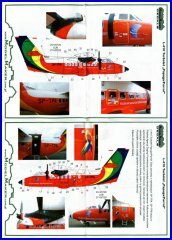 They received colorful schemes too. 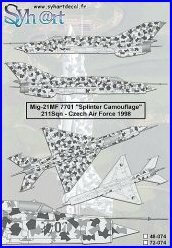 (Syhart 078). 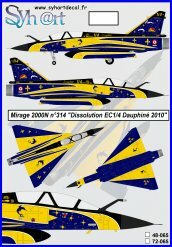 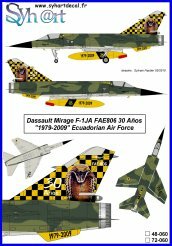 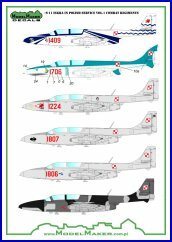 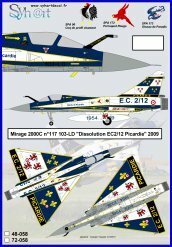 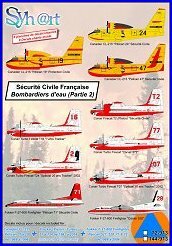 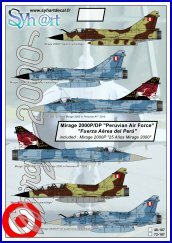 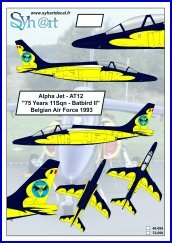 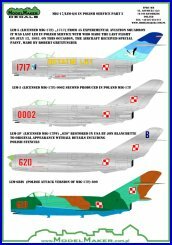 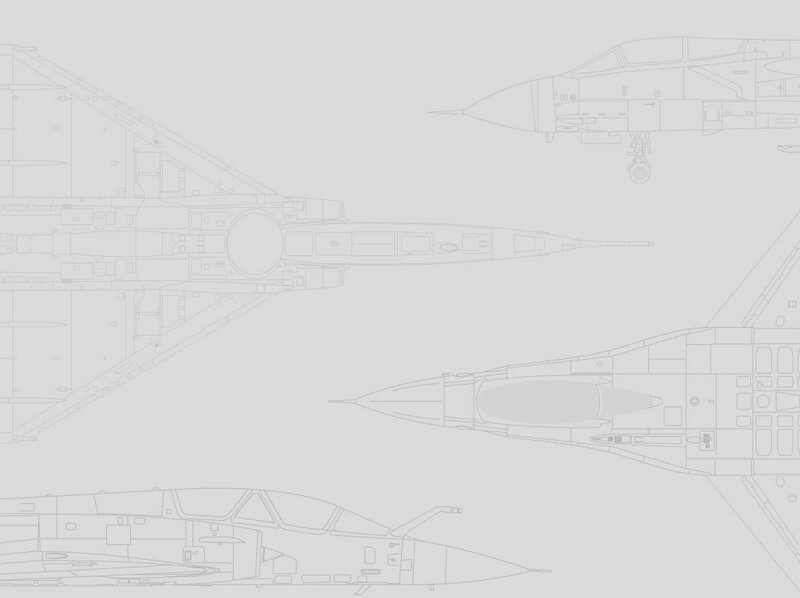 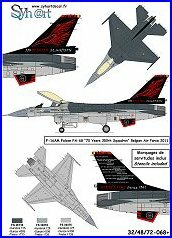 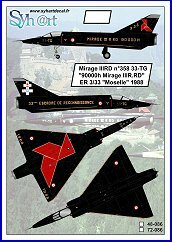 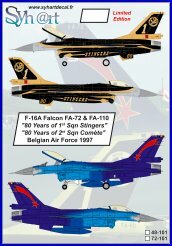 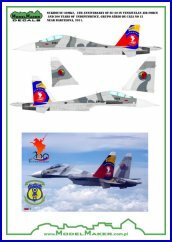 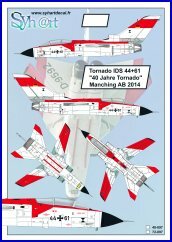 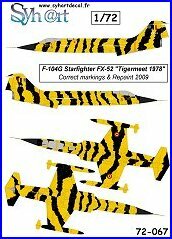 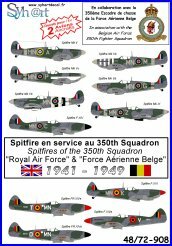 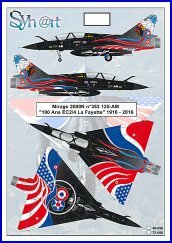 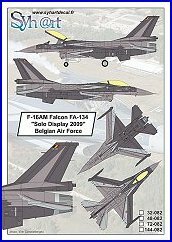 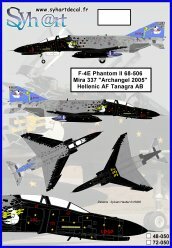 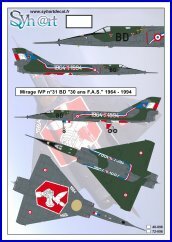 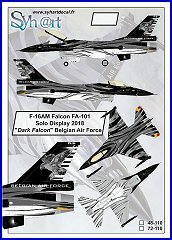 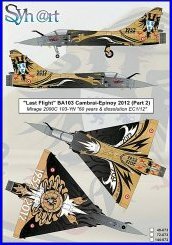 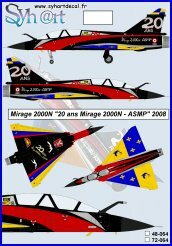 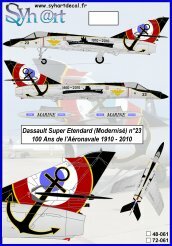 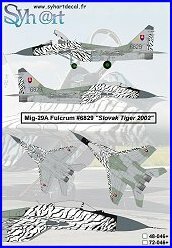 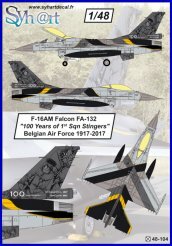 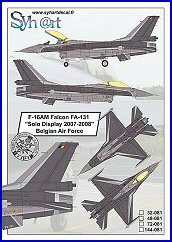 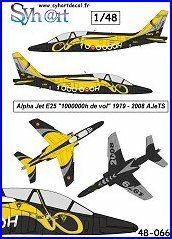 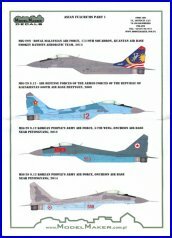 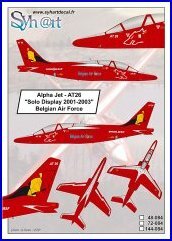 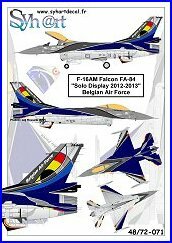 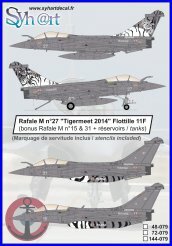 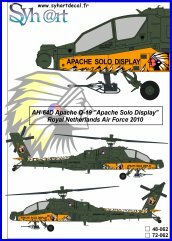 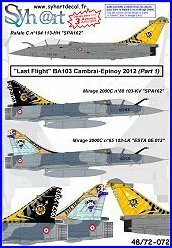 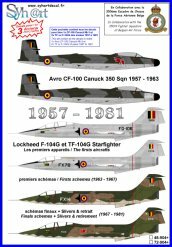 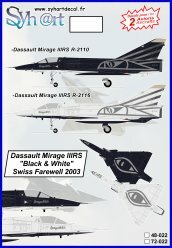 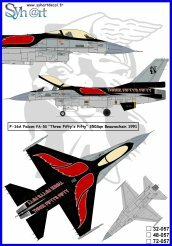 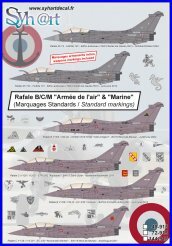 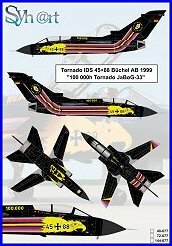 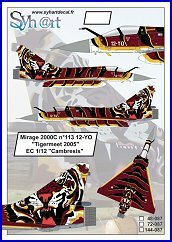 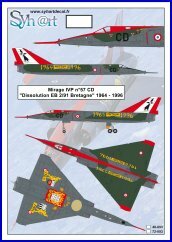 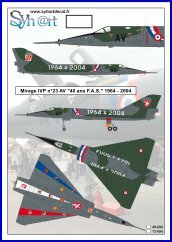 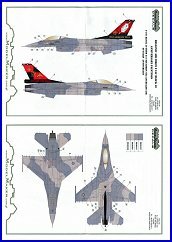 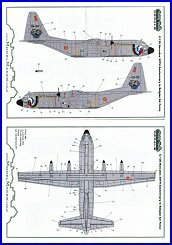 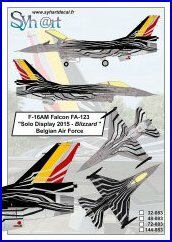 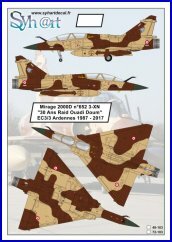 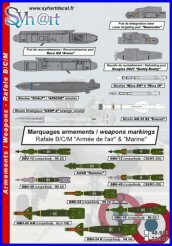 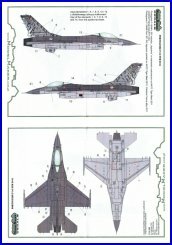 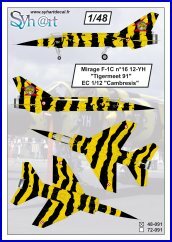 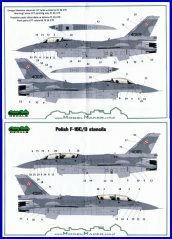 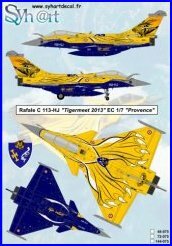 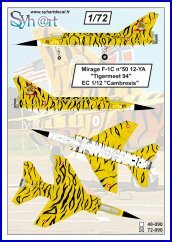 This decals set contain all markings to complete this aircraft. 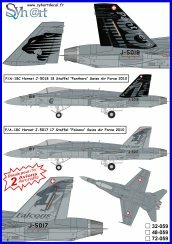 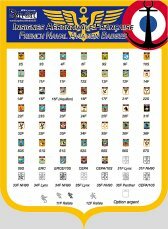 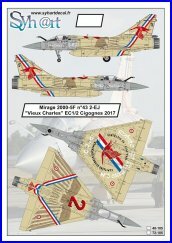 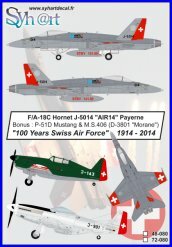 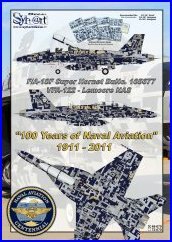 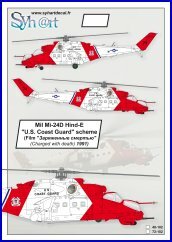 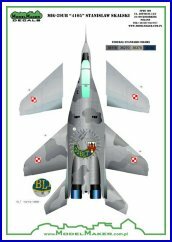 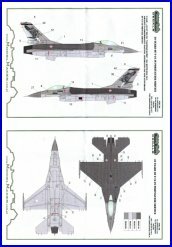 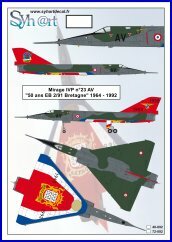 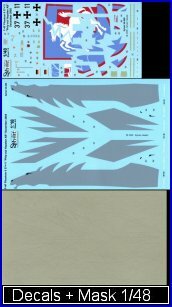 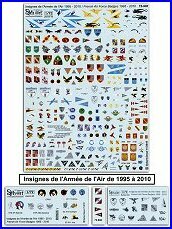 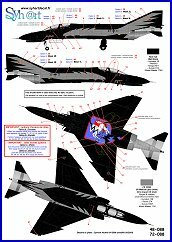 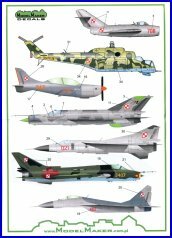 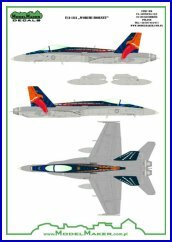 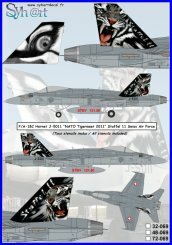 Here is a new edition (screen-print) of Syhart Decal reference 48/72-007 (released on 2005), the decals design has been modified. 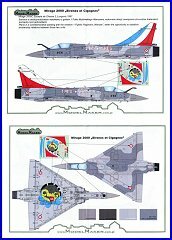 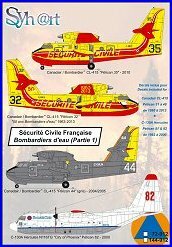 Exemple : the bottom badge splited to ease the decals application (missiles & gear bays, doors…), as far as masks permitting the choice to complete the sides horses by decals or by paint. 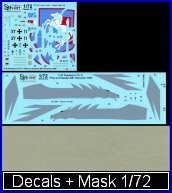 - 1 set of masks to ease painting.